Sand, Wind and Stars - LRDG, 70 years on: Nice pair! 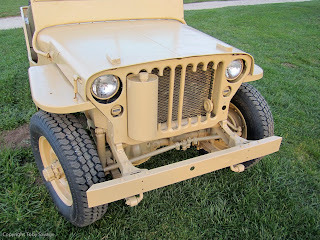 This week saw the final stage of the second Jeep’s restoration. The 1943 Willy’s MB is now finished and registered with the rather splendid registration number, 635 YUD. (Plates not yet fitted!) I took the Ford Jeep up to Matt’s place in Matlock to collect it and took the opportunity of leaving the Ford behind for a new coat of paint. It has been finished a couple of years now and we made the mistake of using a matt finish sand yellow. This has absorbed moisture and caused some surface rust. This will be cleaned off and a couple of fresh coats of 15% gloss applied for that eggshell finish that should repel water. 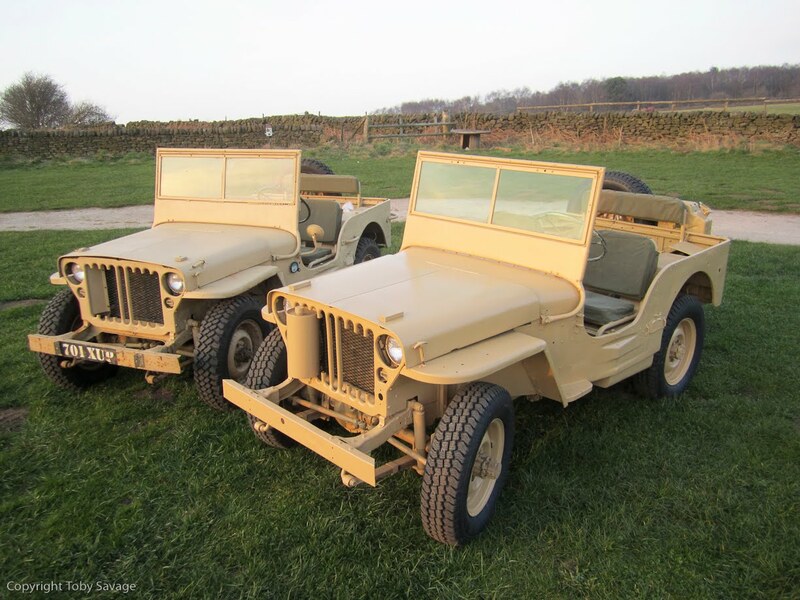 This paint came from The Paint Man - a chap who really knows his paint and also owns an LRDG Replica Jeep, based on a Hotchkiss. 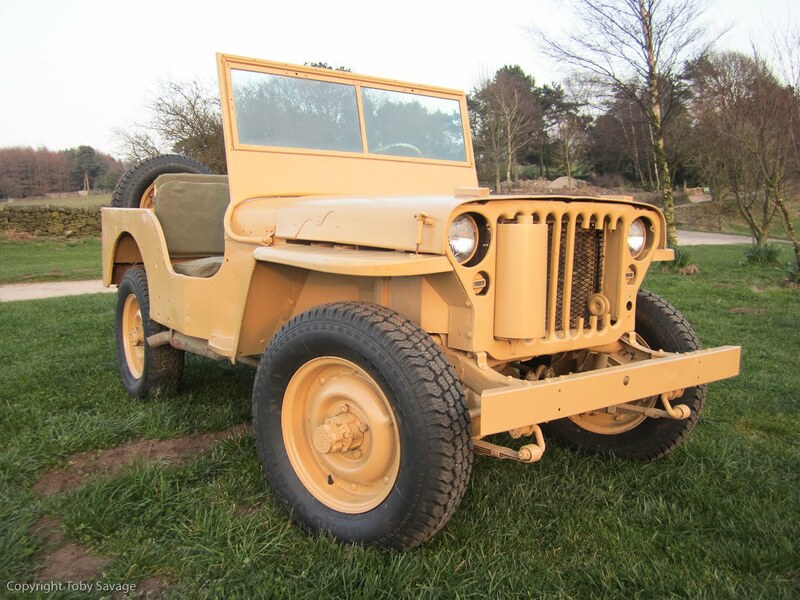 Purists may argue that we have placed the condenser can a bit far back, but the LRDG did not have to worry about headlamp efficiency and an annual MOT test - plus, we think it looks a bit neater set back into the grille a couple of inches. Over the last few weeks Sam, John and I have discussed revised dates for the LRDG Expedition, postponed due to the unsettled nature of North African politics right now. We are pleased to announce our LRDG trip through the vastness of the Western desert will now be Easter 2012. this should give all the displaced North Africans a chance to find their way home and leave the Desert available for adventure. They look just great Toby! A testament to the skills you and young Grumps have. But you do look like Michael Douglas - whoever he is. No telly Tobe! I like Jeeps. I need Jeeps. You want to sell? I have money or can barter; you want oil? Or perhaps you want nice tea? There, I can comment now. Thank you Vinogirl!